The God Squad, a small group of six ordinary tween and teen girls ranging in ages from 12 to 15 attending Carver Prep are brought together by their counselor and mentor, Ms. Foster for their latest mission—the Destorted Mirror! Their mission, should they decide to accept it is to seek out and befriend a fellow student struggling with a poor image as a result of looking through a distorted mirror. The girls eagerly accept their assignment and return to Carver Prep to seek out Kelsey Blake. They are all on the lookout for her but a seemingly chance encounter brings Mia face-to-face with a somewhat familiar looking girl being sick in the restroom. After a rather rocky start and the threat of physical harm, Mia escorts the reluctant girl to the nurses office only to learn that she is Kelsey Blake. Definitely not the Kelsey Blake Mia was expecting. Confused by the together appearance of Kelsey, Mia calls for an emergency meeting. Perhaps she had misunderstood. Surely, this gorgeous girl has no need for the help of the God Squad! Ms. Foster soon has the God Squad back on track but unable to locate Kelsey. 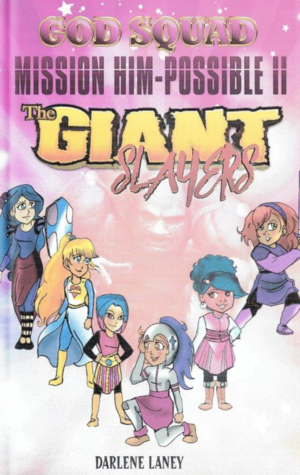 An encounter with bullies puts Kelsey in the perfect place to meet three other members of the God Squad. Joining the girls for lunch, the members of the God Squad start making progress with Kelsey, although she seems overly concerned with being popular and listening to “Eva” a girl she is constantly quoting and who Kelsey confides refers them as “Jesus Freaks.” Despite Eva’s dire warnings about being seen with the Jesus Freaks, Kelsey is drawn to them and even attends GSF meetings and an occasional Bible study. All seems to be going very well when a new look, derails Bible Study and puts Kelsey and her Mom on a collision course that starts an unexpected change of events. This Change of Events sends Kelsey right into the grip of the “popular girls” headed up by Eva and sets her on a course of rebellion and danger. In her quest to be popular Kelsey allows the girls to tease and demean her on every hand. Mia seeks out Kelsey. Finding her, she attempts to rescue Kelsey only her attempts are met with resistance and serve to push Kelsey closer into Eva’s group After Kelsey ignores Mia, Mia has no choice but to take the matter to the Sanctuary. The God Squad takes a vote to wait and see what Kelsey will do next. Mia finds it hard to wait and decides to act without the group. Things get out of hand quickly. Reluctant to tell the girls what she has done and feeling like a failure, Mia cries out to God in anguish. How can she tell the girls she has gone against them and pursued Kelsey on her own? Have her actions cost them the mission? Is it too late for Kelsey? What will happen to her now that she is part of the popular girls? Will Kelsey live the rest of her life looking through a distorted mirror? 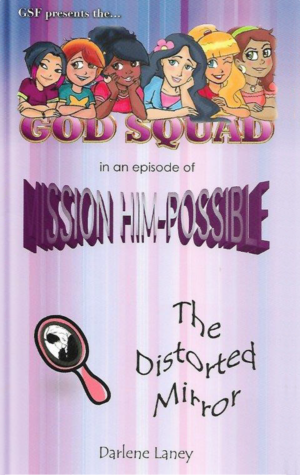 Find the answer to these questions and more in Darlene Laney’s newest novel for girls…Mission Him-Possible, the Distorted Mirror!